The spookiest month of the year has come to a close, and with it has come the beginning of one of my favorite months: NOVEMBER! 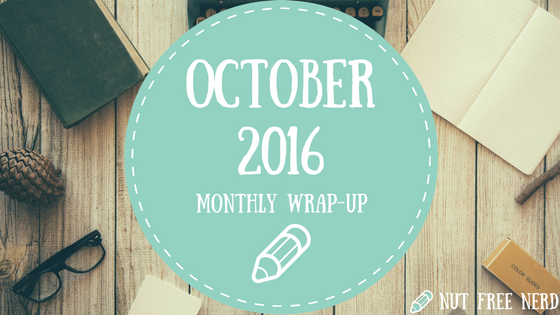 Enough about the present, though– today I’ll be sharing a bit about what I was up to in October. Unfortunately I’ve been so busy lately that all of the books I read in October were assigned reading for my classes. 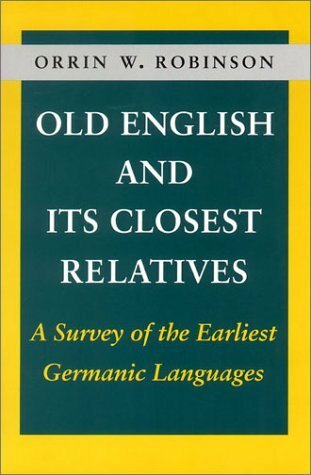 My favorite book of the month was Old English and its Closest Relatives by Orrin W. Robinson because it was really interesting to see how early Germanic languages evolved and intertwined. If you’re interested in linguistics or language in general, I highly recommend it! If I had to sum up October in one word I would say: BUSY. From mountains of homework to longer tap dancing rehearsals and meetings for Student Senate to making decisions about courses and schedules for next semester, lately I’ve felt as though I’ve barely had enough time to eat, work, and sleep. Despite all of this chaos, I still managed to have a pretty great month! I visited my family back home over our brief October break, watched a bunch of scary movies, and had an incredibly fun Halloween weekend with my friends. (I dressed up as a hippie, if you’re wondering.) Though I’ve been feeling really stressed out lately, fun times with friends and family definitely makes it all worth it. Also, I finally managed to watch Halloweentown, Nightmare on Elm Street, and The Shining. A lot of screaming (and laughing!) ensued, but I thoroughly enjoyed watching them! How was your October? What books did you read? What fun things did you do? What did you dress up as for HALLOWEEN??? Let me know in the comments section below! My october was BUSY also, but I did have my birthday! I also went for a school hiking trip and a brief trip to Rajastan and then school started again and I realised that my college plans *sort of* changed even though I’m halfway through my senior year *haha*. But I did read a lot, so taht was exciting. Notable titles were the Tiffany Aching series and Fire by Sara Elfgren and Mats Strandberg, and Sinner by Maggie Stiefvater. What did you think of Sinner? I know some people have a lot of mixed feelings about it. October is such a busy month. I am already ready for the hectic holiday season to be over lol. Good luck with planning your next semester! Thank you!! I completely agree– I love the holiday season, but it can get pretty crazy!